​​CHESTNUTT COTTAGE ( sleeps 4) is our highly recommended, very well equipped holiday let. Modern, bright, comfortable and very well equipped. Relax in the cosy conservatory. Take tea in the small private sunny garden. 20 minutes walk to the beach or Southwold Market Square. 5 minutes walk to Barbrooks Store. 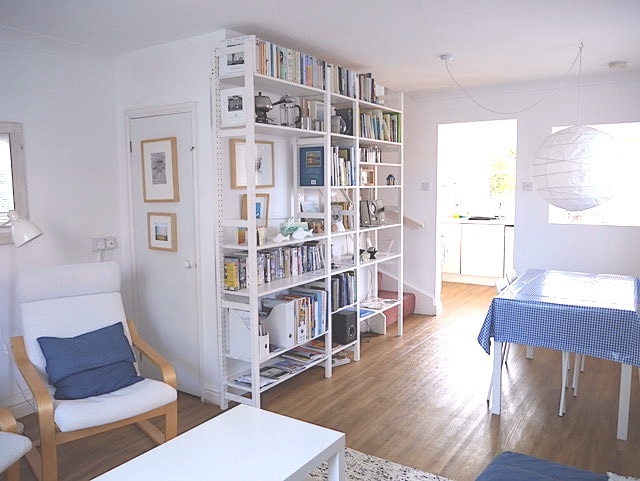 Explore Suffolk , or enjoy a traditional seaside holiday when you book the Southwold beach hut as an extra option. THE COTTAGE & BEACH HUT ARE NON SMOKING PROPERTIES. WE DO NOT ACCEPT PETS. ​The cottage can be booked independently of the hut. We love- strolling home across the common, after buying fresh fish for supper from Samantha's shed ; walking to the harbour along the shore line ; climbing into the rowing boat ferry to Walberswick, tea in a cafe on the Village Green ; walking back along the river bank via the old railway bridge (now reopened) to The Harbour Inn-stopping there awhile as the sun sets, sipping a glass of wine or sampling the local brew (Adnams), before setting off back home in the moonlight. ( at an extra charge) when you STAY AT CHESTNUTT COTTAGE. You can then book the hut daily or weekly. Wonderful, uninterrupted views of the sea and beach. SUZIE'S beach cafe 100 metres towards the town. Chairs, table, cutlery, plates, cups. kettle, saucepans etc. All we think you may need for your beach hut holiday. We love- breakfast in the hut, catching the sunrise on the shimmering sea with the tide creeping over the sands ; sitting in the sun on the edge of the promenade, sipping afternoon tea and eating cakes (from the Two Magpies?). At dusk, sighting the rising moon, glistening across the water. ​ANY QUESTIONS? OR TO BOOK?